...Christmas. Yes I know this is not what anybody wants to hear including me ! But it's a fact and I have had to think about it much earlier than most of you for my latest quilt I created for Love Patchwork & Quilting. 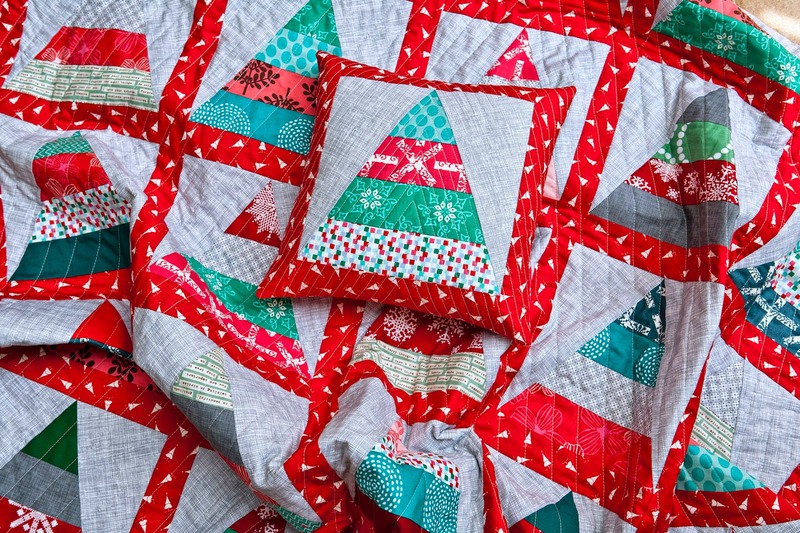 It is strictly speaking not a Christmas quilt but a Winter quilt that with its red, greens, pinks and greys will brighten up any dreary winter's day. The background colour for the trees is a light grey which makes all the other colours stand out really well. Issue 14 is out now for subscribers and out next week in the shops. 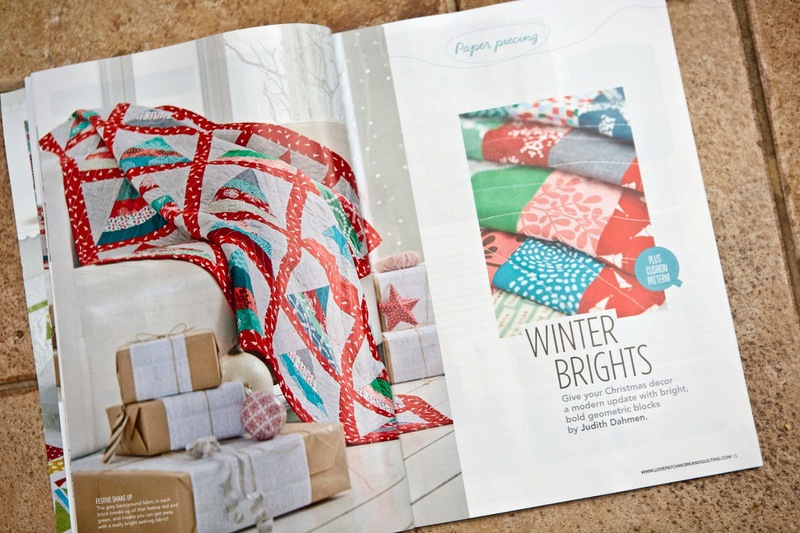 My contribution to the magazine is a quilt that is paper pieced and a cushion. 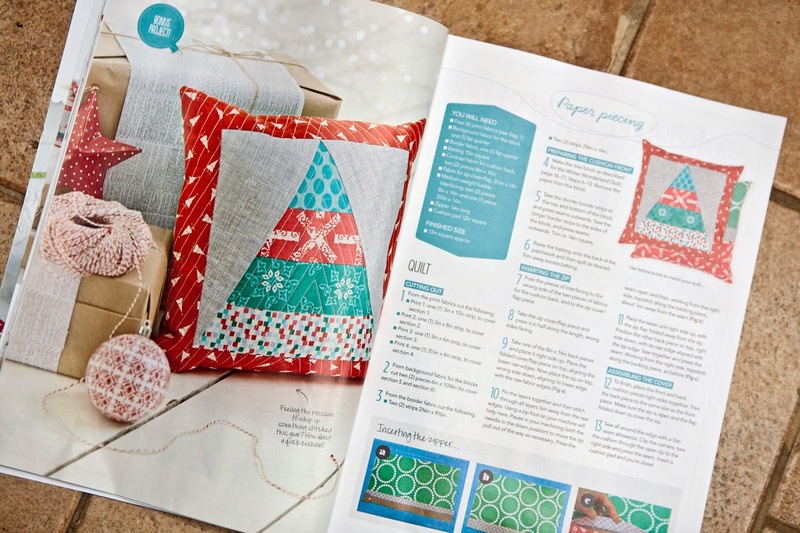 The paper piecing is really easy and it is most suitable for any paper piecing novice ! The fabric for this wonderful quilt was sponsored by the Village Haberdashery in West Hampstead. Oh, what a very fun quilt - I love your fabric selection for it. Now, I could be mad at you for scaring me with that fact of number of Sundays left till Christmas - eek - but I guess I'll just have to deal with it! 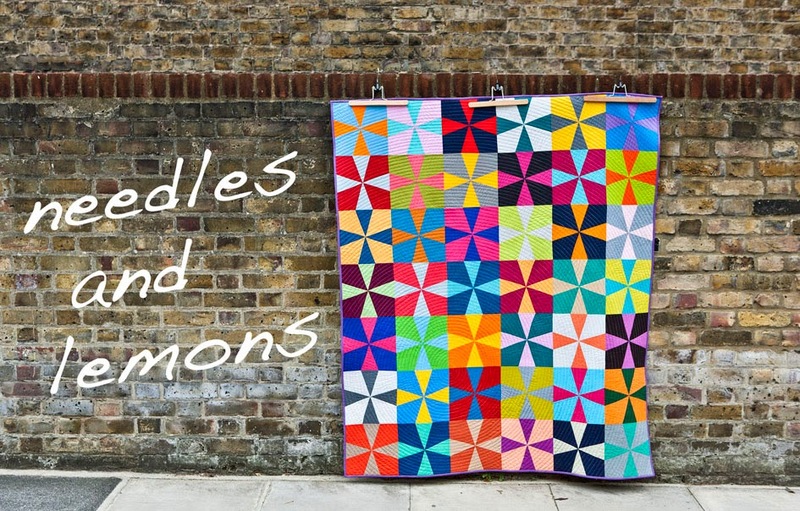 This is a lovely bright winter quilt.